Villa situated in the area of Fuente del Gallo in Conil de la Frontera, Cádiz. 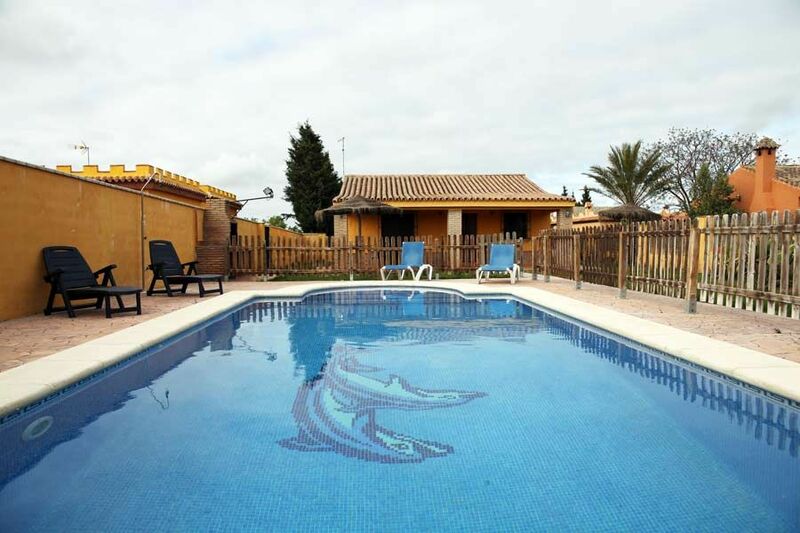 It is located around 12 minutes´ drive from the beach. Lovely quiet, rural environment although there are bars, restaurants and supermarkets in the area. Up to six people can stay in this holiday home. The house has two bedrooms, the main one with a double bed and the other with two single beds, there are also two single sofa beds in the lounge, and a fully equipped American kitchen with washing machine, oven, microwave and fridge. The bathroom has a shower. Perfect accommodation for family holidays. In the area there are many activities which you can take part in, like aquatic sports, horse and bicycle riding, or a walk in the pine forest. La piscina y el jardín. El personal muy amable.la privacidad Los sofás deberían cambiarlos están muy usados,es una tabla.